After sustaining damage to its roof when Hurricane Michael made landfall in the Florida panhandle on Oct. 10, TRSA associate member JENSEN USA Inc., Panama City, FL, recently reported that its operations have been running at close to full production since Oct. 29, according to a news release. Nield closed by adding, “Thank you very much for your continued patience and kind messages of support. 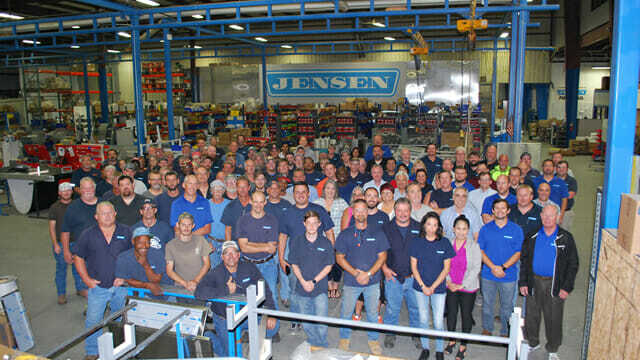 Best regards from team JENSEN USA!” To read more about the storm’s effect on JENSEN’s U.S. operations and the company’s disaster plan, click here. If a disaster strikes your area, TRSA has several resources that can help its members in the linen, uniform and facility services industry. Click here to access a booklet that TRSA prepared with a crisis-response expert on recommended professional practices for disaster planning. This publication offers laundry operators a guide to developing tactics associated with successful disaster-response efforts. Topics include planning, risk identification, operational issues, emergency plan-implementation timing, crisis communications, business-recovery planning and more. The booklet also includes numerous examples of how linen, uniform and facility services companies have applied these principles to deal with real-world disasters. When the Next Katrina Blows into Town … Will you be Ready?